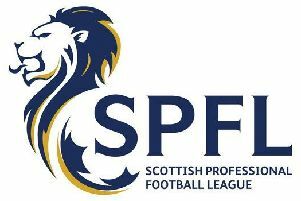 Three Midlothian clubs will be contesting Cup finals this week before leaving the Juniors and starting a new chapter in the East of Scotland League. There is a mouth-watering clash in the Fife and Lothians Cup final on Wednesday 7pm kick off at Penicuik Park between Newtongrange Star and Bonnyrigg Rose – the last ever encounter between the two rivals in Junior football. Then on Saturday Penicuik Athletic take on East Lothian outfit Tranent in the East of Scotland Cup final kick off 2.30pm. They are expecting a bumper crowd on Wednesday with the final being switched from Broxburn to Penicuik Park. It’s the first appearance for the Star in the Cup final for 27 years. They have won the Cup on four occasions. Bonnyrigg, meanwhile, are fresh off the back of their Superleague-title winning success. The Rose were losing finalists a couple of years ago and have won the Cup three times. Star president Joe Wilson concedes they will go in as underdogs against Bonnyrigg. He said: “What a huge final game for both teams. It is the last game in the Juniors and it is a massive piece of history. “Bonnyrigg are simply the best club in the area and that is not easy to say being a Newtongrange fan. “It’s going to be one of those nights where football becomes secondary given the magnitude of the occasion. The two teams have met each other three times already this season with Rose winning two and drawing the other. He added: “It is a fitting end to both clubs’ long association with the junior game, which dates back to the 1890s, that the last game should be a final. Penicuik will also be looking to finish the campaign with some silverware when they play Premier League side Tranent at Prestonfield, Linlithgow on Saturday. Cuikie sealed their place in the final after victory over Dundonald Bluebell. Manager Johnny Harvey said: “It’s massive, it means everything to me and the players.